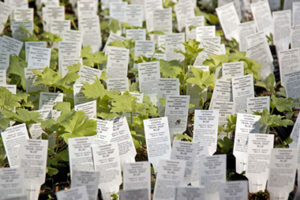 There can be a variety of useful information located on the plant’s tag, both on the front and the back. This is helpful for letting you know the size the plant will grow to, it’s sun requirements, bloom information, spacing needs, and much more. Be aware that the tags tend to be generic and designed for international use, so watch for the zone hardiness and be sure it is rated for your country, particularly when purchasing perennials. Series and Variety Name – The name of the plant. Sun Requirements – How much sun this plant requires to thrive. Height – How tall you can expect the plant to grow. QR Code – A code you can scan with your smartphone to view a fact sheet and growing information. Botanical Name – The genus of the plant. Patent Propagation Information – Whether or not the plant is protected by a patent and may not be propagated. Trademark Information – Whether or not the plant name’s trademark is protected. Habit – The shape this plant grows. Height – How tall this plant will get. Blooms – When this plant blooms, if applicable. Spacing – How far apart this plant needs to be from other plants to grow well. 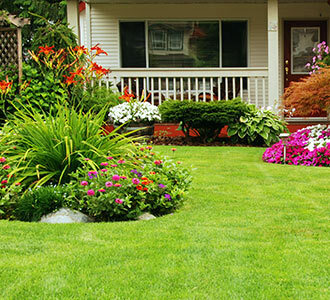 Fertilization Information – When this plant needs to be fertilized. Hardiness Zones – Shows the cold hardiness of a plant. 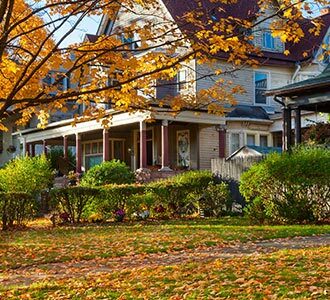 Will indicate if a plant is an annual in most zones, and what zone perennials and shrubs that live in the winter are rated for. Canada is divided into nine hardiness zones, which are further broken into a and b segments. Water Needs – How much water this plant needs, and where to water it if it has certain requirements. Features – Further information about this plant that may be helpful for growing it, such as heat and rough tolerance and whether it needs to be deadheaded. Care – How easy or difficult this plant is to care for. Uses – Where this plant grows best, such as in containers or landscapes. Light Requirements – How much sun or shade this plant needs to grow. Website for More Information – Where you can look online for more information. Full Sun – This plant requires at least six hours of direct sunlight. It is represented by a yellow sun symbol. Partial Sun/Partial Shade – This plant needs between three and six hours of direct sun. It is represented by a half yellow and half grey sun symbol. Full Shade – This plant can survive with less than three hours of direct sunlight. It is represented by a grey sun symbol. Dappled Sun – This plant will do well with partial sun received through the branches of taller trees. This is represented by the same symbol as partial sun/shade.